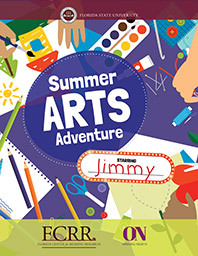 In partnership with the Florida Center for Reading Research, our passion for creating meaningful education experiences stays alive over the summer break with the Summer Arts Adventure activity booklet. Read some new books and start bringing your child’s stories to life! Copies can be found at Leon County Public Libraries and Council on Culture & Arts – COCA.